Photographs and text copyright © by John Northall. With acknowledgements The Royal Commission into Ancient Monuments in Wales. 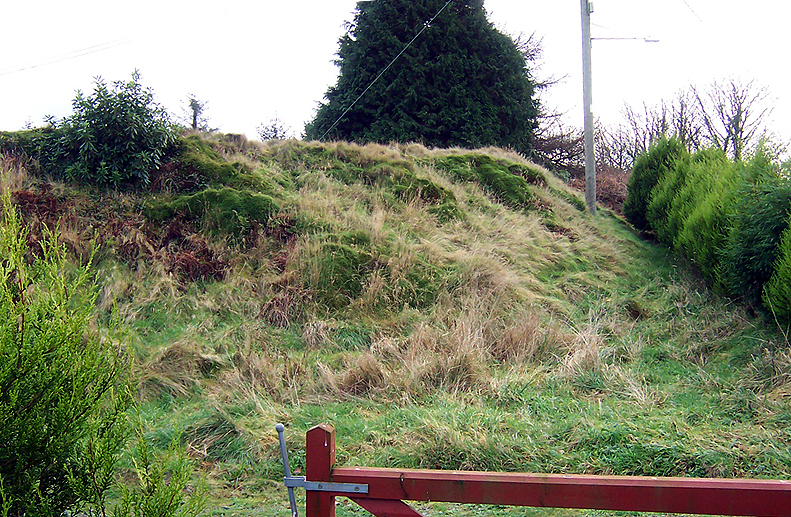 Above: The western side of the enclosure bank at Castell Mael. It would have been topped with a sturdy palisade made of squared tree trunks. 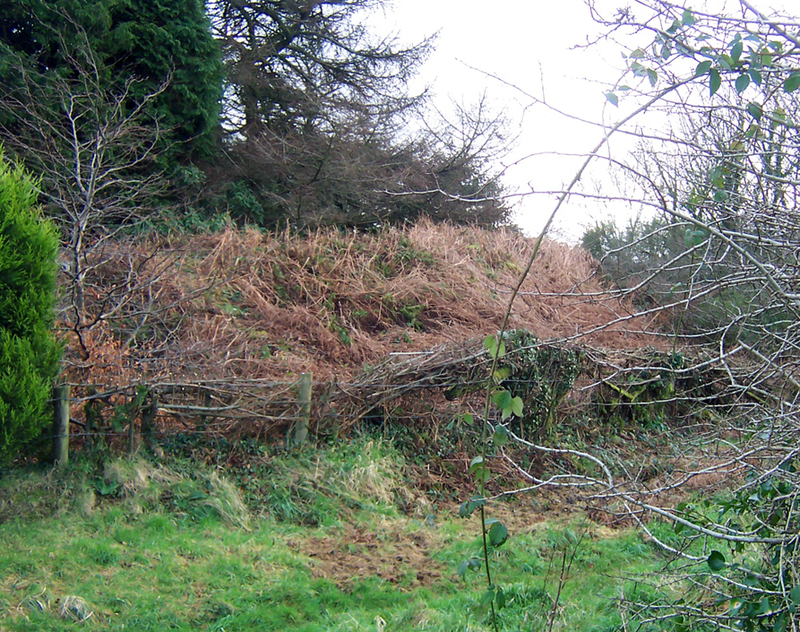 The remains of Castell Mael lie within the Welsh administrative district of Cemais, which was seized by a Norman warlord called Robert Fitzmartin at the end of the 11th century. The Normans built an earth and timber ringwork castle in what is now Puncheston but it may have been a refortification of an earlier stronghold. Its name 'Castell Mael' uses a dark-age Irish/Welsh word for king, which suggests that there was already an enclosure here before the Normans arrived. 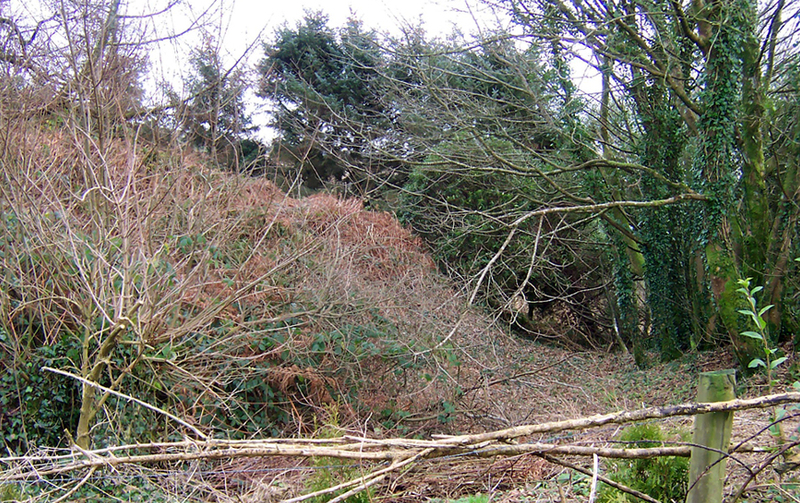 Above: The main enclosure bank from the north-west. 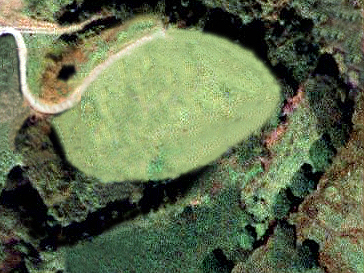 Above: An aerial view of the castle earthworks with the modern clutter 'removed'. Castell Mael was built at the junction of two valleys with its back protected by the little Anghof river to the east. A strong curving bank, around 8 feet high, was built away from the steeply scarped riverbank and the entrance to the enclosure was half way along its length. 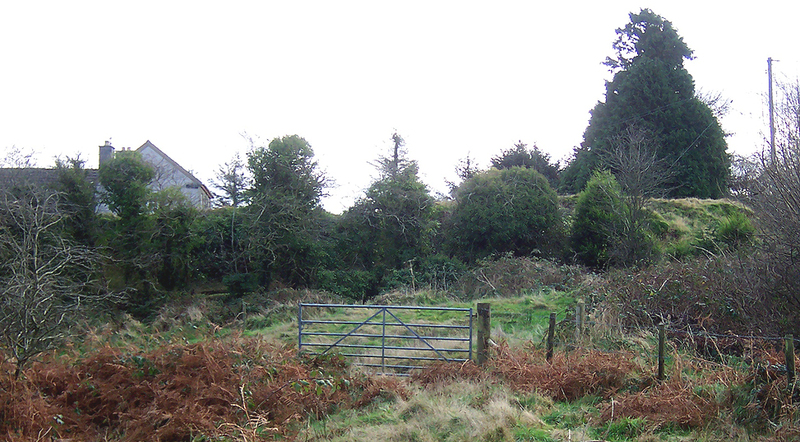 Above: The southern edge of the castle enclosure. The castle was further protected by a 12 foot wide ditch, most of which is now filled in but there are some traces of it around the southern side. Above: Undergrowth in the southern ditch. S. Lewis, writing in 1833, described Castell Mael as an "encampment near the church, fortified with double ramparts, and occupying about four acres of ground". The Royal Commission into Ancient Monuments in Wales recorded in 1914 that there were faint traces of an earthen mound or motte but these may now be untraceable.